Just how effective has Sarah Palin’s intervention in the NY23 special election been? Douglas Hoffman, the Conservative Party candidate that got Palin’s endorsement, raised $116,000 in a single day, according to a source within the campaign. 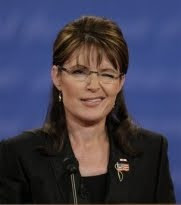 If Doug Hoffman wins this election, watch as the liberal media becomes more unhinged and their attacks against Sarah Palin grow even more disgusting.